We've used a lot of Kegerators. These days it's easy to find dozens of options for pre-built kegerator systems. Which one is right for you? Allow us to narrow it down for you. Often when buying a kegerator, you can expect to pay anywhere from $50-$100 extra just to get the thing shipped. Which is what makes this kegerator special: Yes, it's nothing special in the specs department, but it ships free with Amazon Prime. 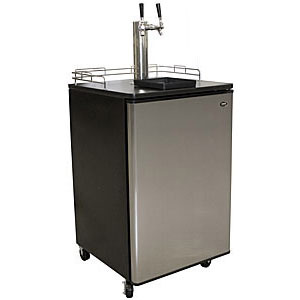 If you're in a hurry to get a basic kegerator, and don't want to pay an arm and a leg to have that monster shipped, this may be the one for you. 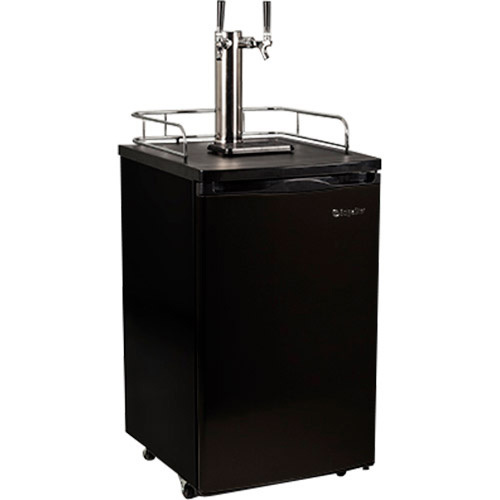 The KC2000 Twin offers a two-tap beer tower in a compact size. It's an attractive option for homebrewers as well as beer aficionados who prefer a little variety in their pours. 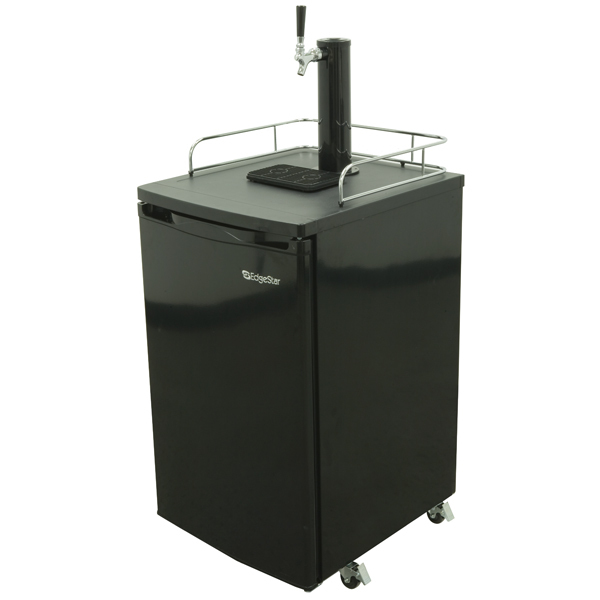 This kegerator can easily accommodate two sixth-barrel kegs — and features all the necessary hardware to get started. This model is also available with a stainless steel front door for $50 more. Both models feature an external C02 tank. This is your basic low-cost kegerator — not that there's anything wrong with cheap! We used a similar kegerator for years, and though it was slightly more prone to frosting over, it gave us many happy kegs of service. Like all the kegerators we feature here, this one includes a complete tapping kit: empty CO2 bottle, regulator, and keg coupler. Just add beer, gas, and of course, Kegbot! 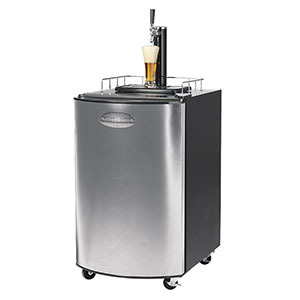 This summit kegerator is a fine mid-range choice, and includes a two-tap beer tower. Along with the tower, you get two Sankey couplers, a CO2 regulator, and a tee for the gas line — just add beer and CO2 and you're ready to go with two taps. This is the kegerator we dream about. 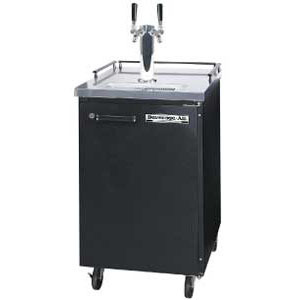 Beverage Air makes top-of-the-line commercial kegerators: you'll instantly recognize them at almost any bar you visit. We've had one in our shop for years, and can wax longer about this fridge than would be considered healthy for any other appliance: The build quality is solid. It is extremely well insulated. It has a blower to keep the temperature even. But what makes Beverage Air systems so awesome? Almost every part is replaceable. The coils, compressor, blower fan, and almost everything else can be detached, serviced, and replaced — try doing that with a cheapo kegerator. If you've got the cash to burn, this is your kegerator. Invite us over for a party?